Raise your chopsticks crocheters, my first crochet item from a Japanese pattern is done! 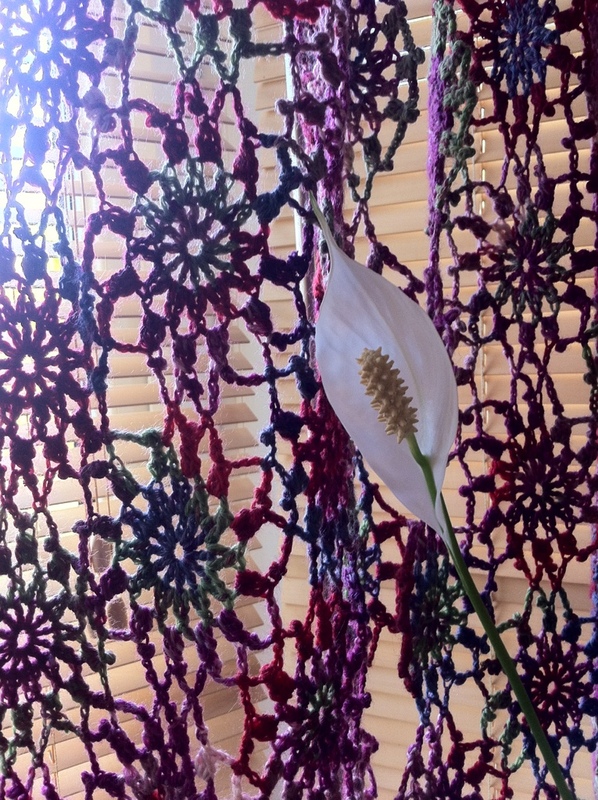 I know it’s only a scarf and that once you get the motif under the belt, it’s just a case of repeating it a hundred times – literally, so it’s probably not the fanciest, most intricate piece of Japanese crochet, but still. I’m proud of it and I think my friend will like it too. 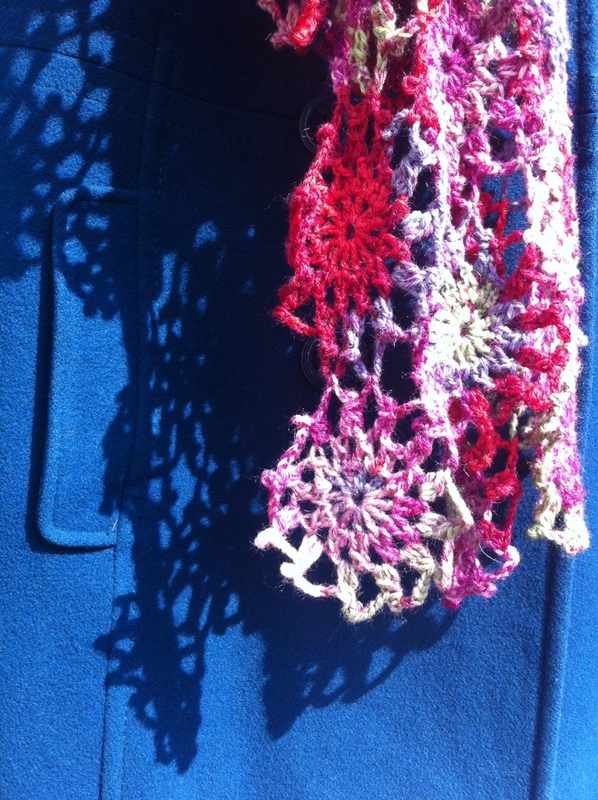 Doesn’t the scarf look great with the coat (hanging from the neighbour’s fence. As you do.)? I just love a scarf that can throw shadows on your coat! To get the scarf this open and fine, you absolutely have to, have to, have to block your work. 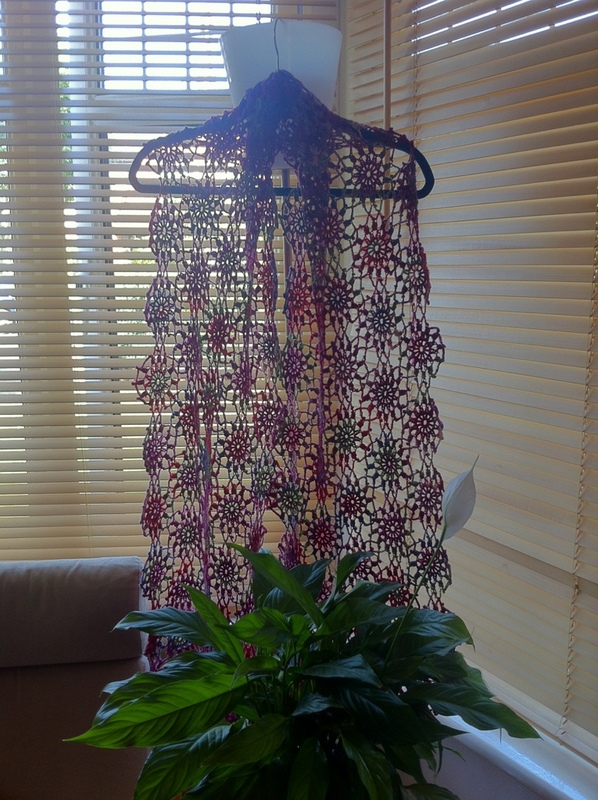 Have a look at my halfway mark blogpost and you’ll see how the scarf looked before blocking. For this scarf, blocking isn’t optional, it’s essential. The magic of this scarf and yarn combo is that eventhough it’s super light, open and lacy it’s still nice and warm as a scarf should be. And there’s so much going on! Every motif is different. I think the variegated yarn really works extremely well with this scarf. The scarf in the book was done in navy and it looks great, but I think variegated yarn looks better. 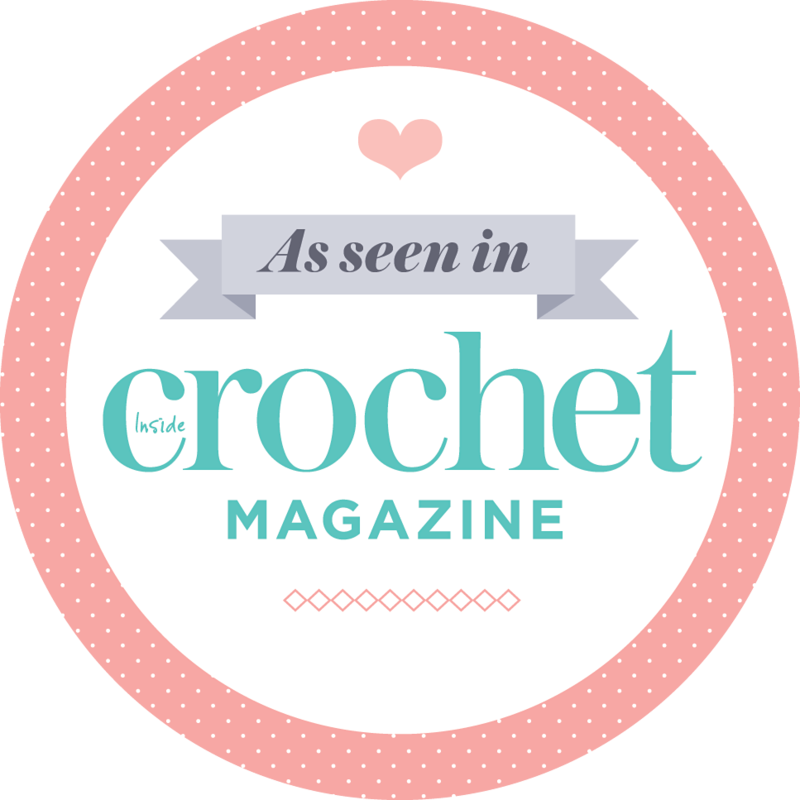 On the other hand, it might be that I’m just biased seeing as I really can’t imagine enjoying crocheting 100 navy motifs, but 100 uniquely different motifs, that I could do. Pattern: Pattern no. 17 from Ondori Motif Crochet – Japanese cloth, sold as an e-book on Etsy. Modifications made: The pattern calls for 6 rows of 20 motifs each, but I only did 5 rows. Beautiful, I think your friend will be very impressed! Very, very lovely. 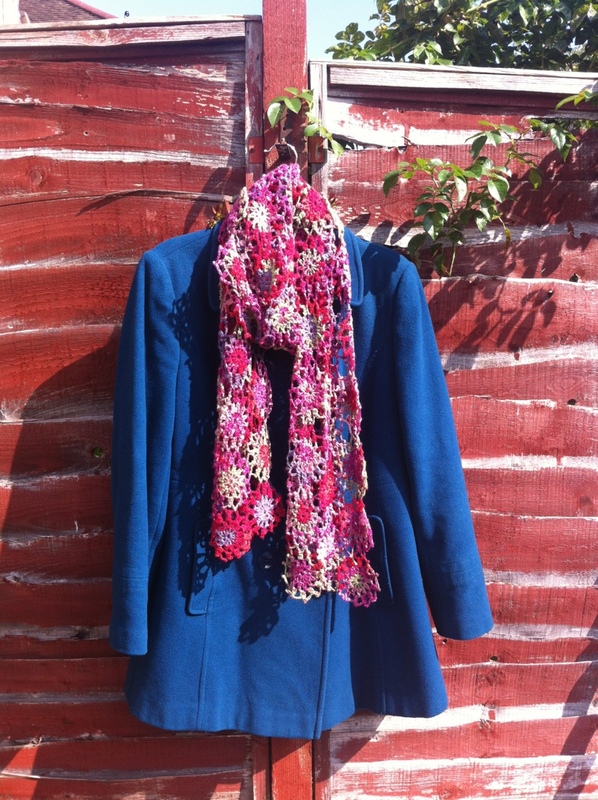 I am going to have to have a go at a lacey scarf sometime. Congratulations! It’s beautiful – love the open structure – still looks very cosy! Lovely indeed, just as autumn is approaching. Fantastic! – a bit of a dense question – what do you mean by blocking? Thanks Maudie! 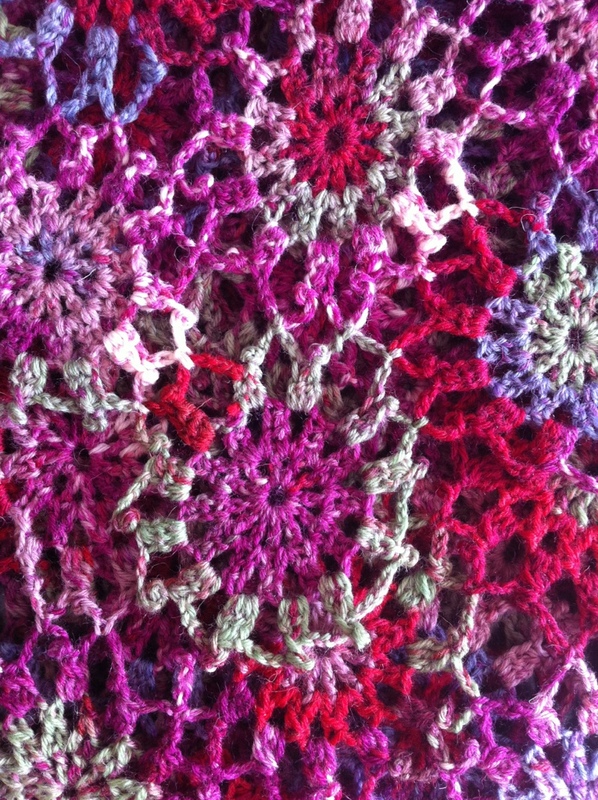 Blocking is when you spray the crochet (or knitting) with water, then pin it down onto a pinning board of foam board into the shape you want it to be. It will then dry in this shape. 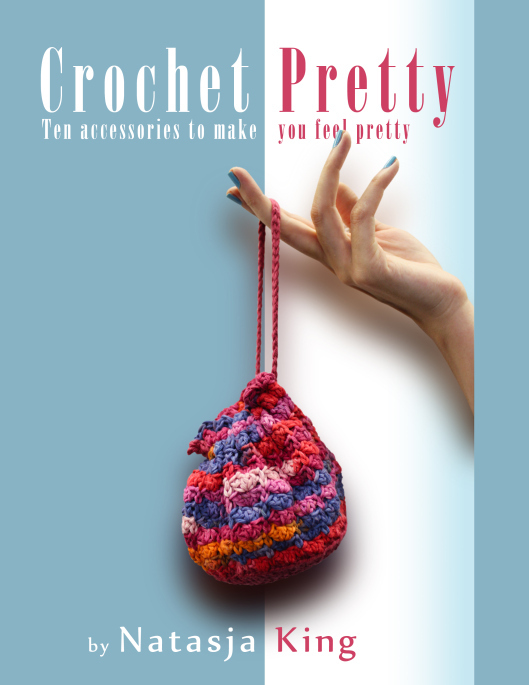 So it’s excellent to “open up” lacy crochet, or to make edges straight and corners pointy for a square etc. Oh that’s so clever! I’m sure some of my knitting patterns have requested that and I had no idea what it was! 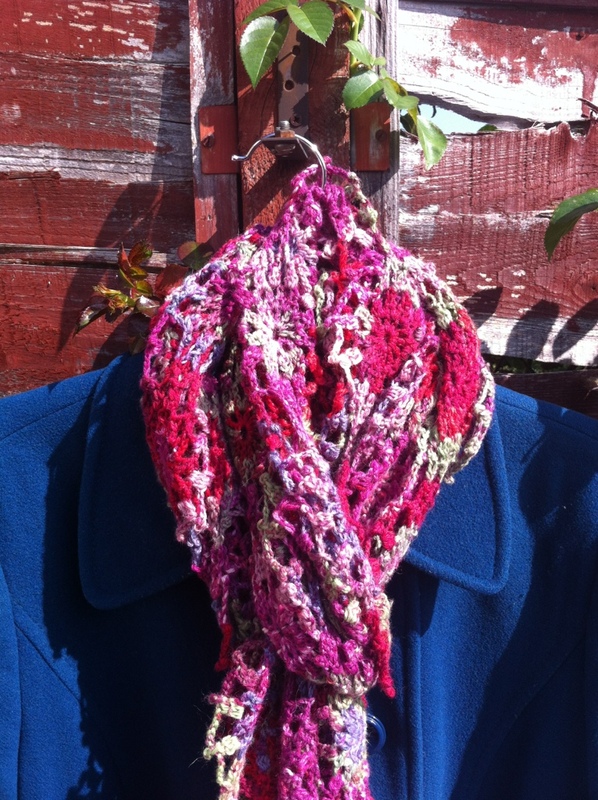 Absolutley gorgous scarf 🙂 I share your love of variegated yarn it does make projects more interesting to crochet when you get lovely changing colour combinations. oh! how attractive is your Japanese shawl! Oh my goodness, that scarf is just beautiful. Nicely done. I have no doubt your friend will like it. It is beautiful. This looks beautiful, there’s no way I could do anything like this it’s perfect! Lovvelly swhall scarf, made of multiple ligth flowers, japanease style! Bravo, nice wool also!